Despite the hyperbole that sometimes accompanies news from the watch world, the truth is this: the hairspring and balance got together in 1660, Mudge made his first lever-escapement watch in 1755, and, with respect to repeaters, Barlow and Quare (both Englishmen) applied for patents for repeating watches in the late 17th century. Breguet developed the cathedral gongs still used in modern repeaters over two centuries ago, and the modern minute repeater — with its lever escapement, cathedral gongs and rack-and-snail striking mechanism — is, for the most part, unchanged since the early 19th century. Improvements in watchmaking are largely incremental, not revolutionary, and for something as complex as a repeater, there’s a tremendous amount of incentive to stick to tried-and-true techniques and designs. After all, chiming watches — especially full minute repeaters and sonneries — are notoriously tricky to work on, demanding a level of patience, maturity and experience that makes them both the most charming of complications and the most intimidating. A conservative approach is both a matter of honoring tradition and staying out of trouble — better safe than sorry. The Seiko Credor Spring Drive Minute Repeater uses air resistance to regulate its chiming speed. Which makes the last 10 years of minute-repeater design even more exciting. A serious study of repeaters gives the impression that one ought to be amazed when they work at all, much less when they work well. But there’s a new wave of repeaters that take the tried-and-true — if complex and temperamental — design of the minute repeater and tweak it with updates designed to give a new voice to watchmaking’s most venerable diva. One of the most important aspects of minute-repeater design has to do with how sound is transmitted from the vibrating gongs through the rest of the watch — the case, dial, movement and caseback all affect the quality and quantity of sound. 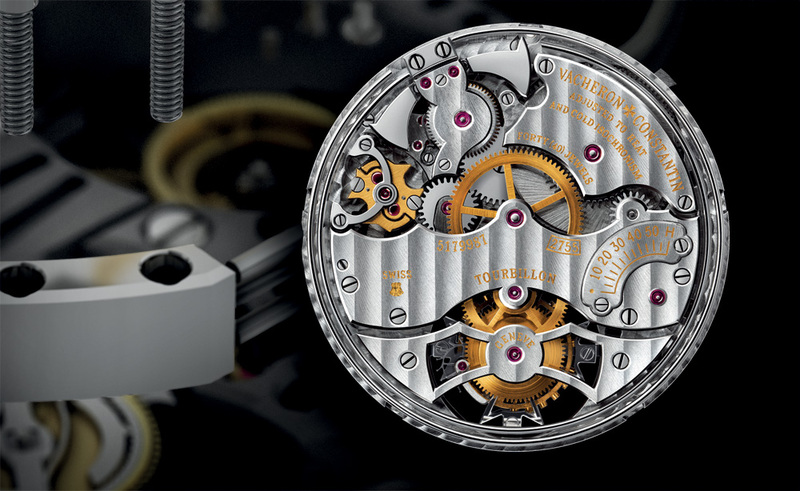 In a conventional minute repeater, the gongs are attached to a metal foot that’s part of the movement plate. 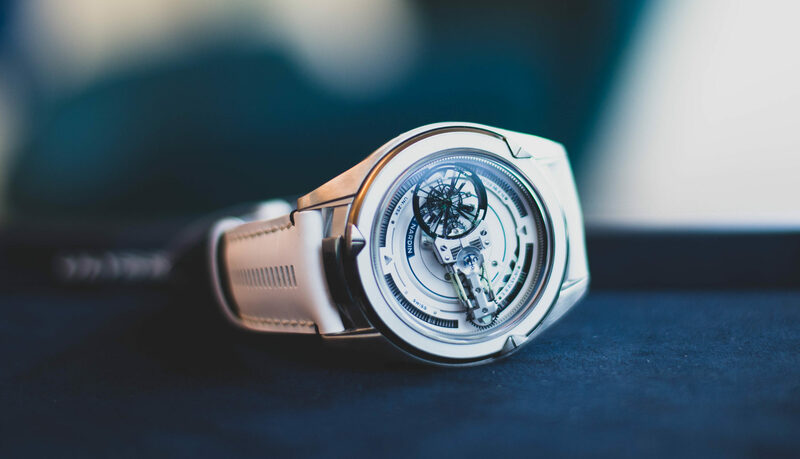 That means that when the watch is on the wrist, sound has to travel through the movement plate, dial and crystal, as well as laterally through the flanks of the case. The square cross-section of the Jaeger-LeCoultre cal. 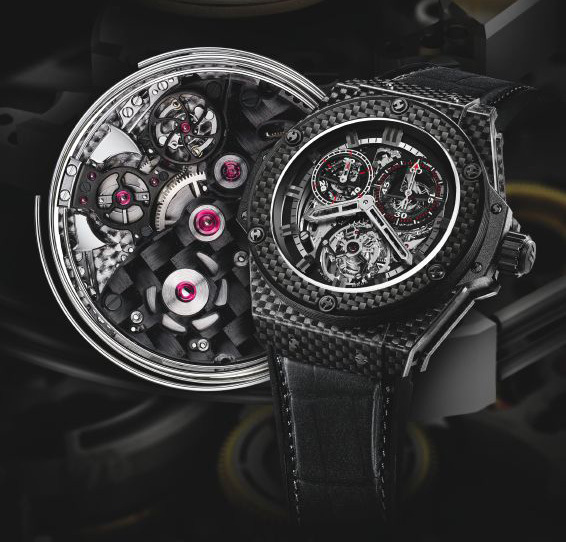 947 gongs allow maximum energy transmission from the hammers to the gongs; the carbon fiber used in Hublot’s King Power Minute Repeater Chrono Tourbillon is what gives the repeater chime it’s sheer volume. Different case materials have also been used — gold and platinum, while traditional, are also relatively dense and tend to absorb sound energy rather than transmit it efficiently. 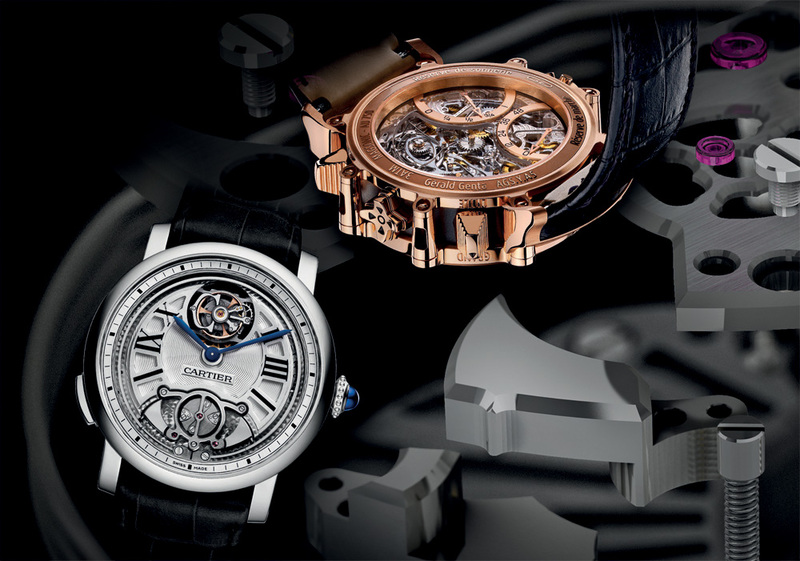 A light, rigid material is ideal for a repeater case, and innovations in the case materials of chiming watches include the use of stainless steel (by F. P. Journe), the use of titanium (most recently and memorably by Cartier in its Rotonde de Cartier Minute Repeater Flying Tourbillon), and even carbon fiber (the Hublot King Power Minute Repeater Chrono Tourbillon). 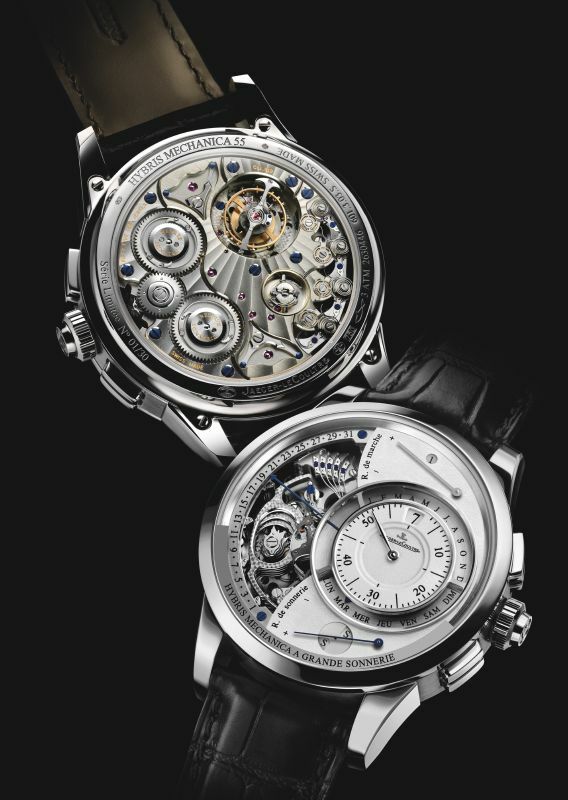 A centripetal governor is used in Vacheron Constantin’s cal. 2755, visible under the bridge at 10 o’clock. Vacheron Constantin uses a system for casing its Patrimony Traditionnelle calibre 2755 that retains the traditional system for attaching the gongs but significantly improves sound transmission through the case. The movement plate is fitted with extremely tight tolerances into the case (the tolerances are so close that the movement is “mated” to that particular case and cannot be easily fitted into another one), which in turn is internally skeletonized — the movement is held in a light inner ring, with an air space between the movement ring and the outer case, whose thin walls act as an efficient medium for sound transmission. 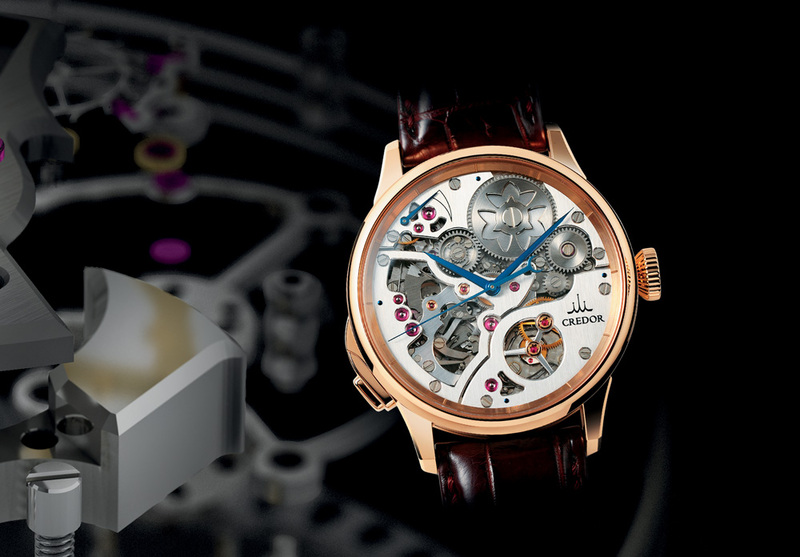 A similar approach was taken by Gérald Genta in the construction of the (now-Bulgari) Magsonic Grande Sonnerie Tourbillon, which has a case reminiscent of a snare drum — the top and bottom are in pink gold (the original model from 2009 had a titanium case) and the case middle is made from the proprietary Magsonic alloy, formulated for its low mass and rigidity — intended to improve the quantity and quality of sound transmitted from the gongs. The articulated trebuchet hammer used in the Jaeger-LeCoultre Hybris Mechanica a Grande Sonnerie. Another important area for innovation is in the evolution of regulator systems for minute repeaters. The speed at which the gongs chime is controlled by a regulator, or governor. The two most commonly used systems are the centrifugal regulator, in which two spring-loaded arms mounted on the pinion of the last gear in a train meshing with the repeater spring barrel extend outward as the gear rotates, and the anchor system, which uses an escape wheel and lever working on the same principle as the standard lever escapement. Each has advantages and disadvantages; the anchor system makes an audible buzz, but is more compact than the more centrifugal (fly) regulator. In its Patrimony Traditionnelle calibre 2755, Vacheron Constantin has introduced a proprietary silent strike governor in which centrifugal and centripetal forces are both exploited. In this system, the outward movement of the fly-governor weights causes the inner portion of the weights to move inward, acting as a brake on the central shaft of the governor. The system is silent and also appears to offer a more compact solution to constructing a governor than the traditional centrifugal regulator. One of the most interesting of the new breed of striking governors is found in Seiko’s Credor Spring Drive Minute Repeater. The Spring Drive Minute Repeater is technically interesting in that it is probably the world’s most sonically pure chiming watch — since the Spring Drive regulating system is totally silent, it requires only the addition of a totally silent strike governor. This has been achieved by Seiko with the incorporation of a fan governor, which uses air resistance to slow the governor train and give the watch a deliberate, pleasingly meditative tempo. Air resistance as a regulating principle in watchmaking is not new — fan blades have been used in the past to control the speed at which constant-force mechanisms (remontoires d’égalité) rewind — but this is, as far as we know, the first time the system has ever been used to control the speed of chiming, and certainly the first time in a wristwatch repeater. TRADITION IS SOMETHING TO BE HONORED, BUT IT’S ALSO AN INSPIRATION TO INNOVATE IN THE SPIRIT OF INGENUITY THAT’S DRIVEN, FOR HUNDREDS OF YEARS, THE EVOLUTION OF THE MINUTE REPEATER. One of the most critical adjustments in a traditional repeater is adjusting the hammer stops so that they hold the hammers, at rest, away from the gongs, but still allow the hammers, when accelerating towards the gongs, to strike and transmit energy. The traditional system of using adjustable banking pieces is not only difficult to adjust, but also absorbs a considerable quantity of energy from the hammers — about three-quarters of the hammers’ kinetic energy is lost in the traditional system. The articulated trebuchet hammer used in the Jaeger-LeCoultre Hybris Mechanica a Grande Sonnerie is built on the same principles as the medieval siege engine. To overcome this problem, Jaeger-LeCoultre has developed another novel engineering solution for chiming watches: its so-called “trebuchet” hammers, named for their kinship to the medieval siege engine of the same name. A trebuchet is a counterweight catapult — a basket of stones on one end of a lever drops, pulling the other end upward. 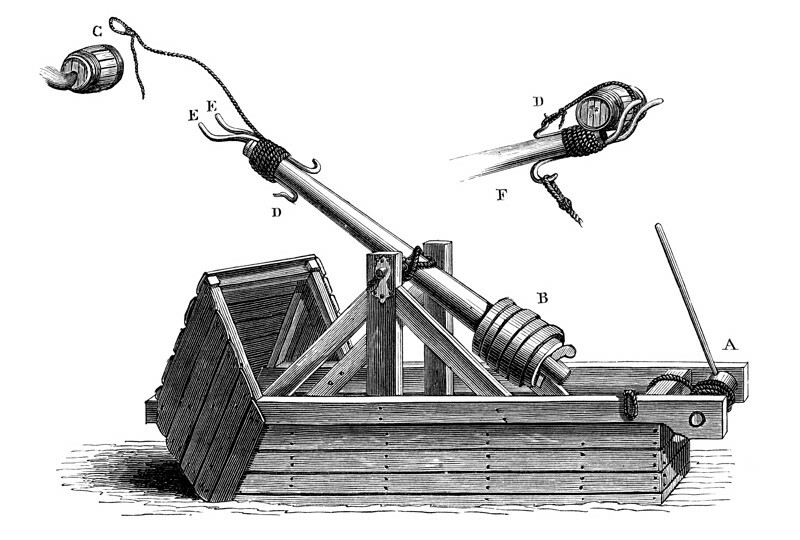 At the top of its arc, the lever stops moving (as the counterweight reaches the bottom of its fall), but the projectile it fires is held in a basket at the end of a long cable attached to the lever’s end, which swings violently forward on its pivot — flinging the projectile toward its hapless target (trebuchets transformed siege warfare; the largest were capable of throwing stones approaching two metric tons, and a single projectile could shatter a castle wall easily). 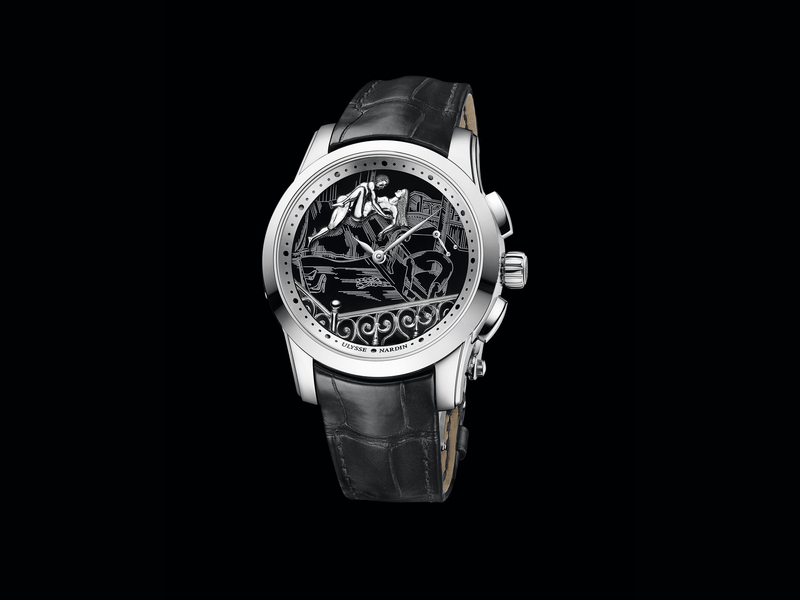 The Jaeger-LeCoultre Hybris Mechanica a Grande Sonnerie. The trebuchet hammers invented by Jaeger-LeCoultre serve an altogether more civilized purpose, although they use a similar mechanical principle. The hammers are hinged in the middle (ordinary repeater hammers are a single piece of steel) and movement at the hinge is controlled by a spiral spring, similar to a balance spring. When the hammer strikes, it’s braked by a banking piece as in a conventional repeater, but unlike an ordinary hammer, it can flex at the pivot so that the striking face of the hammer is flung forward. 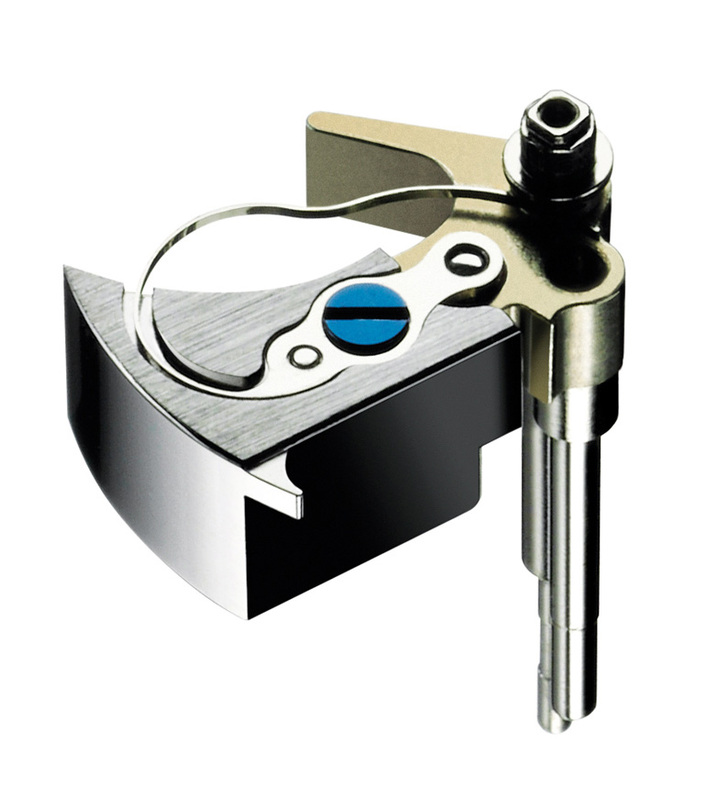 The depth of the strike can be adjusted by changing the tension of the spring. This articulated hammer design is so much more efficient that up to 80 percent (according to Jaeger-LeCoultre) of the hammer’s kinetic energy can be transmitted to the gongs — an enormous gain in efficiency. The system was first developed for the Hybris Mechanica à Grande Sonnerie, and most recently was used in the remarkable Reverso Répétition Minutes à Rideau, whose sliding-curtain system for charging the repeater mainspring gives the watch its name. Though repeaters and other chiming watches have a charm that stems very much from the romance and traditional craft associated with them, it’s also true that no domain of watchmaking is so evolved as to defy improvement .For the new generation of innovators in striking watches, tradition is something to be honored, but it’s also an inspiration to innovate in the spirit of ingenuity that’s driven, for hundreds of years, the evolution of the minute repeater.